Here is the graph we designed to display the links between the characters and the stories, doing so by using Cytoscape’s modelling options. 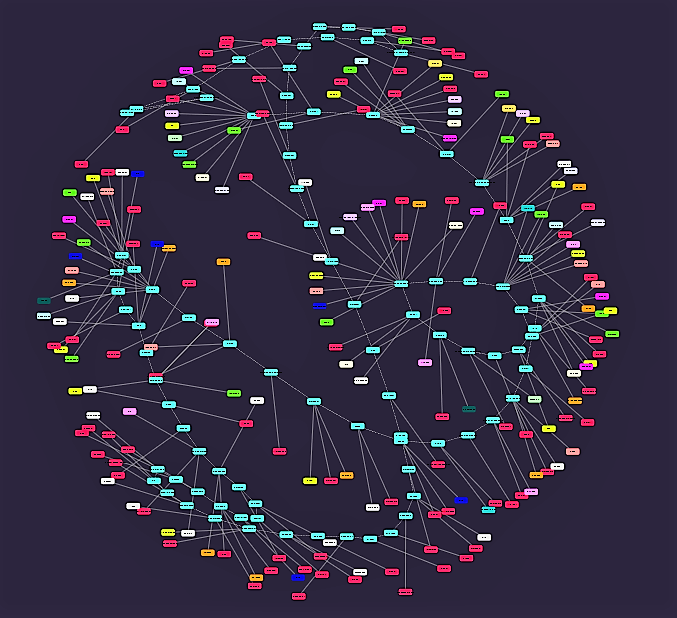 Originally Cytoscape is designed to draw protein chains, but we did our best to customize the graph. The graph needs to be improved, and this is happening behind the scenes. Hopefully we will be able create an interactive version of it with D3JS.